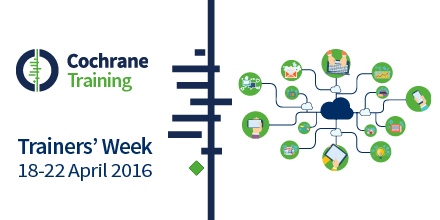 This webinar session from Cochrane Trainers' Week 2016 provided attendees with knowledge and skills to complement their current teaching strategies. The session focused on presentation styles, and different methods of teaching and learning in small and large group settings. The session was aimed at trainers generally, but will be of interest for anyone with an interest in teaching and learning. We were pleased to be joined for this webinar on novel presentation styles by an expert from the Medical Research & Quality Unit at Monash University: Associate Professor Dragan Ilic. Dragan has been involved with the Cochrane Collaboration and the teaching of evidence based practice for over 10 years. He has a broad track record in medical and health professional research, with interest in teaching modalities, assessment, and cost and value in education. What makes a good presenter? A PDF of the slides from the presentation are also available for download. Part 1 What makes a good presenter? Dragan was joined during the webinar by Miranda Cumpston, Head of Cochrane's Learning and Support Deparment.